Equitas Executive Director, Vincent Atchity, joins the newly formed Clinical Advisory Committee (CAC) established by Colorado’s 18th Judicial District Wellness Court. The committee is comprised of doctors, clinicians, and Problem Solving Court experts who have working knowledge of major mental health conditions and substance use disorders and will provide clinical insight to the Wellness Court, ensure the highest standard of care in treatment and services, and provide guidance on treatment and service practices. Equitas announces that in an effort led by Judge Bonnie McLean of Colorado’s 18th Judicial District, a Clinical Advisory Committee (CAC) has been established to provide clinical insight to the Wellness Court, ensure the highest standard of care in treatment and services, and provide guidance on treatment and service practices. McLean presides over a domestic court docket and is in charge of the district’s mental health, drug, and veterans’ treatment courts. She helped develop the first drug court in the Eighteenth Judicial District (which encompasses Arapahoe, Douglas, Elbert, and Lincoln counties). Prior to her appointment as a magistrate in 2006, McLean worked as a deputy district attorney in the Eighteenth Judicial District, where she was in charge of the juvenile delinquency unit. The 18th Judicial District Wellness Court is a co-occurring Problem Solving Court. The goal of the Wellness Court is to increase public safety by reducing recidivism of offenders with co-occurring diagnosis through treatment and supervision. The court strives to ensure participant accountability, support recovery, and improve the quality of life for participants and their families with a cost effective, evidence-based integrated continuum of care. Among those invited to join the CAC is Equitas Foundation Executive Director, Dr. Vincent Atchity. Equitas is pursuing a national strategy to unite influential allies in focusing their collective problem-solving energy on disentangling the nation’s costly and ineffective management of mental health crises from our criminal justice system. The 18th Judicial District Wellness Court is currently undergoing a major overhaul to improve outcomes through treatment and support. The district is already looking to restructure its phase system as well as its sanctions and incentives to implement the most up-to-date, evidence-based research practices. Some of the biggest upcoming changes to this program will be to treatment, case management, and community supervision. While judicial districts all over the United States have begun to implement Wellness Courts, or other-named equivalents, in order to provide supervised treatment, recovery, and reintegration as an alternative to extended periods of incarceration, there is great variation in practice from court to court. The 18th Judicial District Wellness Court’s Clinical Advisory Committee and the Equitas Foundation will work to identify the best practices that ensure the efficacy of Judge McLean’s corrective and healing work in Colorado, and that may be shared with other communities doing similar work across the nation. 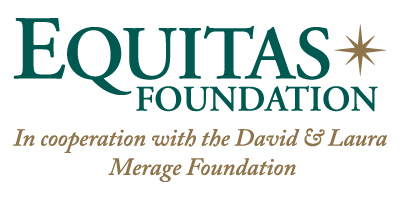 Equitas was founded in 2013 by the David & Laura Merage Foundation. Through the exploration and dissemination of best practices, Equitas promotes collaboration, innovation, and systems change to benefit people with mental disorders and brain challenges in the criminal justice system. For more information, visit http://www.merage-equitas.org.